I stopped by Trader Joe's the other day looking for a Vegan Falafel Wrap that @Raqueliiita posted on Twitter the other day. 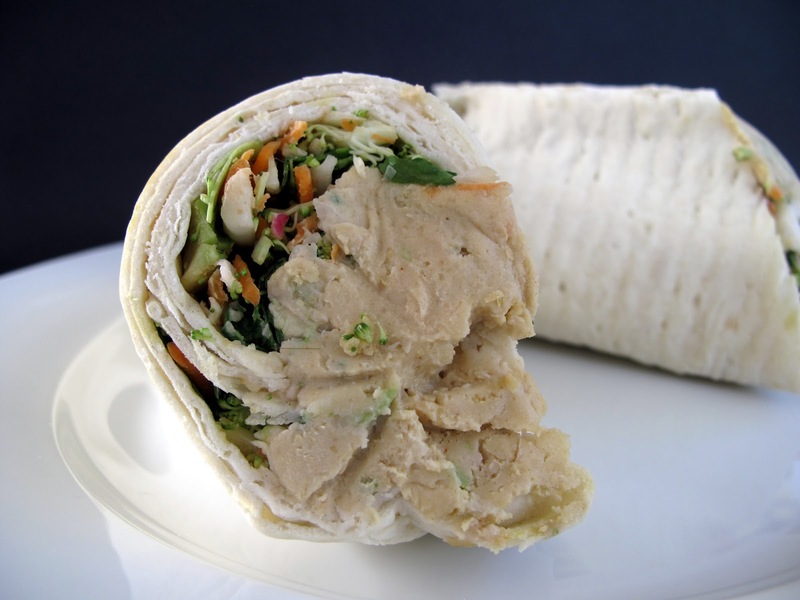 While I didn't find that Falafel Wrap, I found a Veggie Wrap With Hummus! For only $3.99 you get a ton of veggie wrap and should have more than enough to share. So how does it taste? With pre-packaged sandwiches you never know how fresh they will be. I've had a couple of airport sandwiches that were past their prime. I thought the Veggie Wrap was pretty fresh, and not soggy. It had tons of veggies and a liberal amount of hummus. Those were the pros. The cons: somehow the wrap was still a tad dry. I suspect it's because there are no tomatoes or sauce, maybe to keep it soggy-free. Also, I found it to be a touch bland. Perhaps TJ could add a little flavor to the hummus? Get some olives up in there or something? 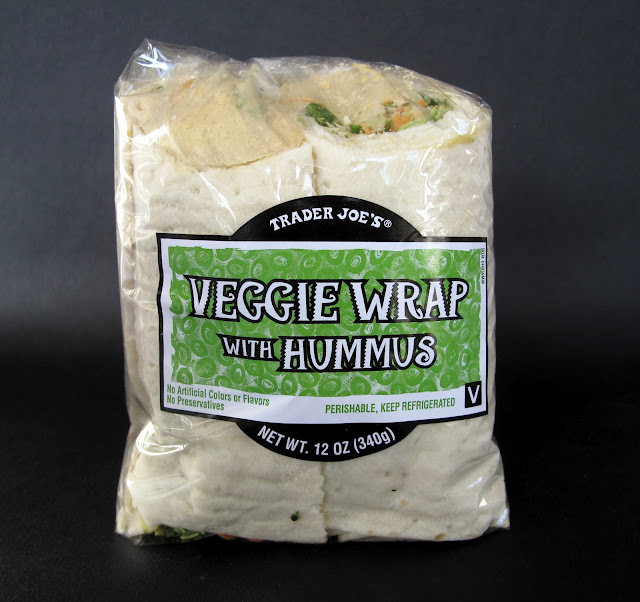 So wrapping up, even with a couple of flaws, the Trader Joe's Hummus Wrap is a nice cheap meal in a jam. If you have a little time, add some tahini or tomatoes and it will be a more enjoyable experience. I'm glad it's an option! They had the falafel one when I swung by yesterday. I bought it, but am saving it for dinner tonight so could not tell you about the taste. I agree with your take on the veggie hummus wrap though. Like almost all things I think hot sauce would have made it taste better. Going to TJ is like going to the flea market, you never know what they'll have. I am a trader joes fanatic!! The chickpea salad and stuffed grape leaves (both refrigerated section) are awesome, And new spinach/quinoa salad is recommended.